Whilst compiling this programme, we were struck by the unique Physical & Psychological Health benefits and philosophical perspectives that our extraordinary system of Health Exercises encompass. The British Health Qigong Association will reflect, embrace and celebrate the unique opportunity and ability. We endeavor to offer a life changing method to enthusiasts in the UK and further afield..
We are proud to be the official Qigong instructor training centre recognised by the International Health Qigong Federation and it is now truely become an international Health Qigong Instructor training course. Instructors from all over Europe, US, Israel and even Australia are joining our courses in an effort to bring this fantastic system and it's great benefits back to their countries and people. Like previous courses, we are excited to have highly respected and knowledgeable professors delegation representing the Chinese Health Qigong Association travelling here from China and Gurus from British Health Qigong Association to share their knowledge, and we are equally pleased to offer a platform for more emerging voices. The Instructor Courses will consist of lectures with a Traditional Chinese Medicine (TCM) focus, workshops from a five element perspective, intensive Qigong sessions, practical demonstrations, discussion forums and much more. We are sure that you will find the programme as exciting as we do! Our Instructor courses this year mark the 11 years of the British Health Qigong Association. Having ignited the ever increasing popularity of Qigong for Health and Wellbeing the the UK and Europe, we now have over 100 highly qualified Qigong Instructors throughout the UK and Europe actively promoting this unique system to wider public. We welcome enthusiasts from all walks of life, all disciplines of Qigong, Tai Chi, Yoga and health exercises to join our national team in bring this fantastic health regime to people in all corners of the globe. These exciting courses will be held at our National Training Centre in Telford, Shropshire, with excellent facilities that is fast becoming the home of Health Qigong in the UK. In order to encourage and help enthusiasts to achieve this qualification, whether making their first or further steps in this profession, our course fees remain competitive and offer excellent value for money. We hope that more of you than ever will join us at what promises to be a stimulating training experience, full of learning, friendship, and happiness. Qigong Theories, Philosophy, Inner Essence, Health benefits, TCM Energy meridians and Channels related to the exercises as well as teaching skill. Knowledge few courses can provide!!!! 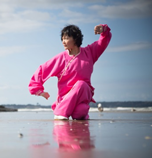 You will be qualified to teach one of the most popular Qigong System available. The confident that these valuable and practical knowledge will enhance your own wellbeing as well as that of your students/clients. 4. Tai Chi & Qigong Teachers, Instructor from any countries in Europe. 6. Martial Arts instructors of all disciplines and levels. 7. Exercise coaches or instructors are also welcome, you just need to have at least of two years of training or exercise background, are willing to work hard and learn. Contact us for more information and we will discuss with you your circumstances in strict confidence. Although this is an instructor course held within the UK, it is suitable for enthusiasts from all over Europe too. We have a good number of BHQA qualified instructors promoting this unique system in various parts of Europe and we welcome more European enthusiasts to join us and gain a qualification that is respected and acknowledged with the Health and Wellbeing community throughout Europe. We look forward to welcoming you in May 2019 for a week of learning, inspiration, and fun.